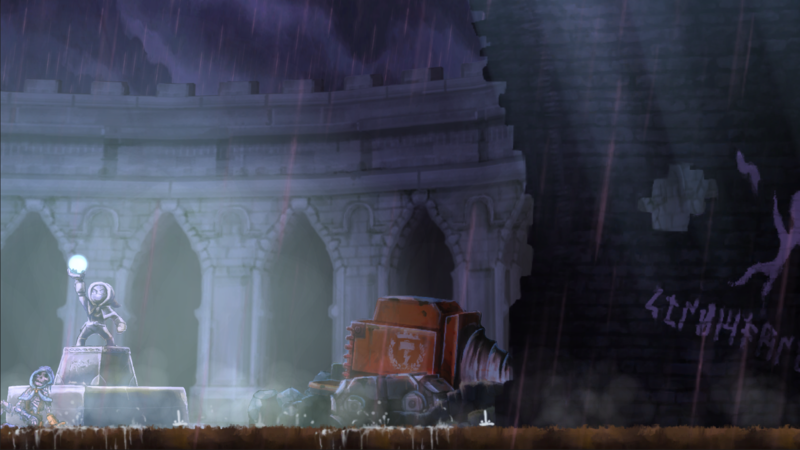 In the heart of Teslagrad there is a grand tower, its base an ancient hamlet, with layers upon layers of newer and more advanced structures built on top. Our entry point to the tower is through a musty, crumbling castle that once composed the city walls of Teslagrad, now haphazardly reinforced and outfitted with electrical devices with little regard to its original architecture. We see the signs of conflict here, walls have been crushed and doors broken down, dusty corpses littering the ground. 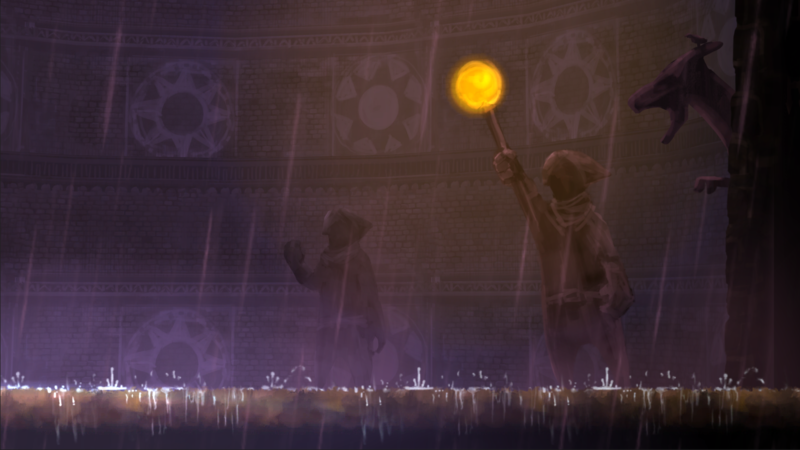 Ominous statues of hooded figures that seem to be holding the power of lightning in their hands tells us that this is a place one should enter with a modicum of respect. 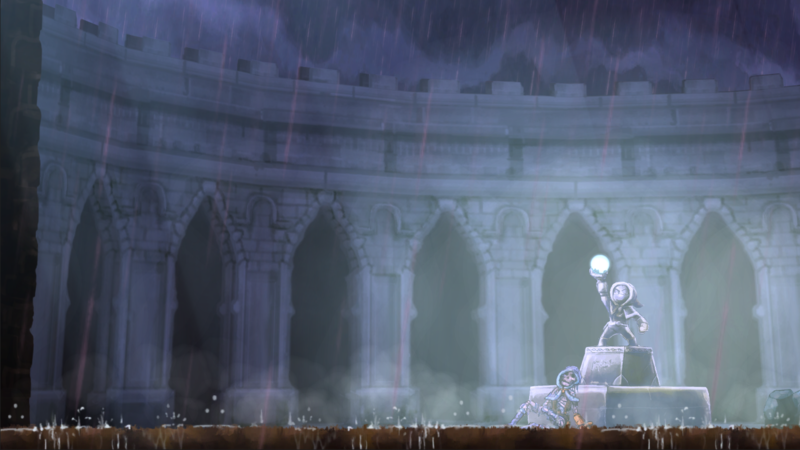 A courtyard, shrouded in mist with a long-dead figure slumped over at the base of a statue. There’s signs of struggle. An industrial-looking drilling machine lies near the inner wall, broken downe from breaching the tower’s perimeter. It’s likely to have been a gift from the neighbouring country of Motorland back when the relations between the nations were more amiable. No attempts at repair have been made- it seems whoever raided this place left in a hurry. As we enter the tower we come across an area that seems to have been modestly remodeled into a training facility of sorts- it seems a last minute attempt at a basic crash course in self defence and electromagnetic manipulation was cut short by the intruding forces. 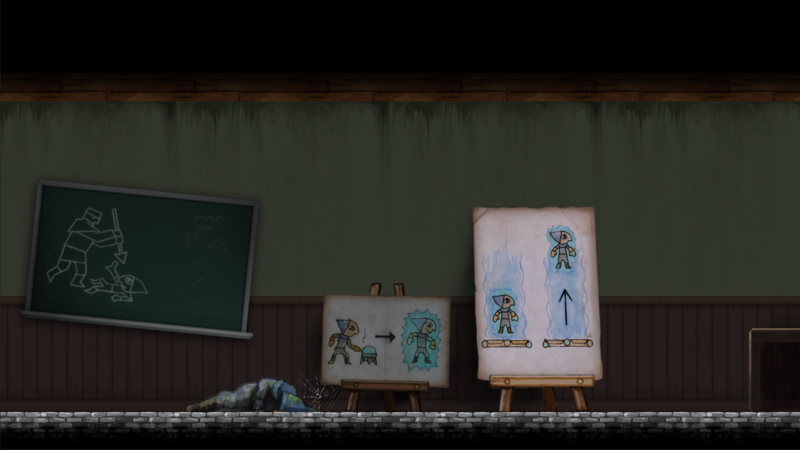 This entry was posted in art, News, teslagrad, The Blog by Ole Ivar Rudi. Bookmark the permalink.